Today’s feature is one of the lesser films to be based on a Michael Crichton work: 2003’s Timeline, directed by Richard Donner. Timeline is based on a novel written by Michael Crichton, who is best known for Jurassic Park, Congo, WestWorld, The Andromeda Strain, and E.R.. 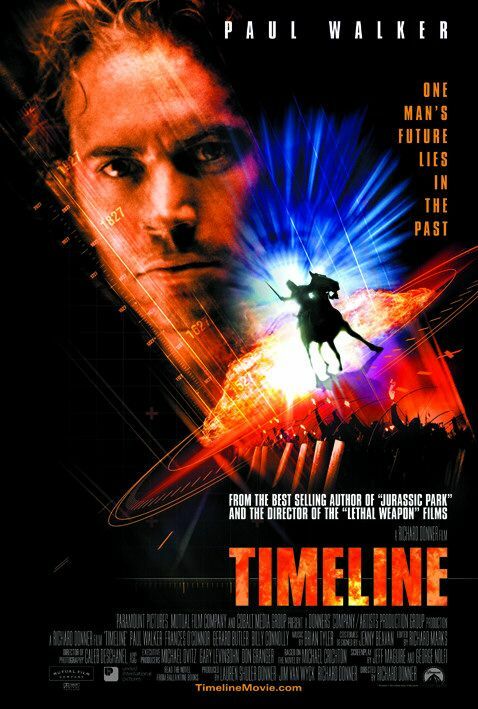 However, the screenplay adaptation for Timeline was penned by Jeff Maguire (Gridiron Gang) and George Nolfi (Sentinel, The Bourne Ultimatum, Ocean’s Twelve). The director for the movie was Richard Donner, who is known for such features as The Toy, Superman, Superman II, The Goonies, Scrooged, and Lethal Weapon. 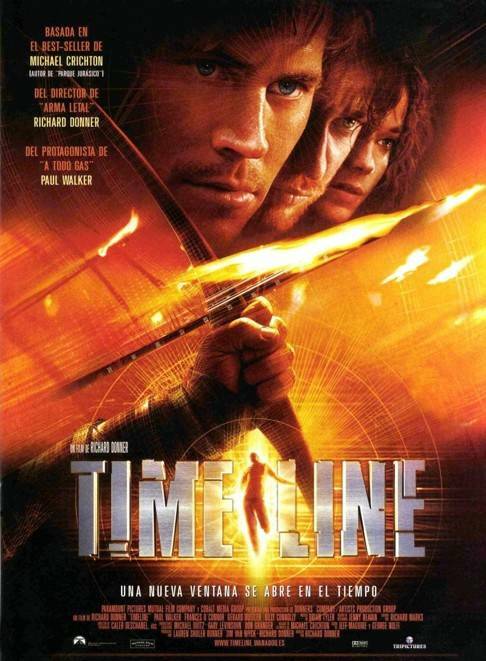 The cast of Timeline includes Paul Walker (The Fast and The Furious, The Skulls, She’s All That), Gerard Butler (Reign of Fire, Dracula 2000, 300, The Ugly Truth, Olympus Has Fallen), David Thewlis (The Island of Doctor Moreau), Anna Friel (Limitless), Neal McDonough (Minority Report), Billy Connolly (The Boondock Saints), and Frances O’Connor (Windtalkers). The cinematographer on the movie was Caleb Deschanel, whose other credits include Killer Joe, Winter’s Tale, The Patriot, The Right Stuff, National Treasure, and The Passion of the Christ. The editor for Timeline was Richard Marks, who has cut films like The Godfather: Part II, The Hand, Broadcast News, Serpico, Pretty In Pink, As Good As It Gets, and Julie and Julia over his career. The music for the feature was provided by Brian Tyler, whose other credits include Simon Sez, Dragonball: Evolution, The Expendables, John Dies At The End, and Iron Man 3. Apparently, Michael Crichton so hated the film adaptation of Timeline that he ceased licensing out his properties for the rest of his life, which unfortunately ended only a handful of years later. The actors David Thewlis and Anna Friel met while working together on Timeline, and were romantic partners for many years afterwards. 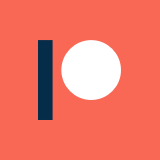 Timeline experienced a number of behind the scenes issues. It was initially supposed to release in 2002, but was delayed after the studio was unsatisfied with Richard Donner’s cut of the film. The film had to be entirely re-cut twice more, which led to the entire Jerry Goldsmith score having to be replaced with one by Brian Tyler, due to Goldsmith’s failing health. Initially, the role eventually filled by Gerard Butler was offered to James Bond actor Pierce Brosnan, who turned it down. A third writer, Frank A. Cappello (Suburban Commando, Constantine), was at one point credited for film. He apparently wrote an entire draft of the screenplay, and was even credited on some of the film’s early promotional materials. The battle at the center of Timeline‘s plot is entirely fictional, though the overarching conflict of The Hundred Years War was very much real. A number of liberties are taken with historical accuracy, as you might expect, including some intentionally anachronistic insignias placed in the background as Easter eggs. 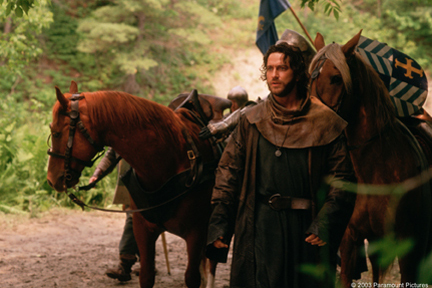 One of these is the Quebec flag, which appears on a shield as a nod to the filming location. Financially, Timeline was a significant loss. On an $80 million production budget, the movie only grossed just under $44 million theatrically, leaving the production significantly in the red. Critically, Timeline fared equally as poorly. Currently, it holds a 5.6/10 IMDb user rating, and Rotten Tomatoes aggregate scores of 11% from critics and 45% from audiences. As Ebert stated, one of the biggest weaknesses of the movie is the un-enthralling cast of characters. The interpersonal relationships and individual characters are all incredibly forgettable, to the point that some are only distinguishable based on their accents. Part of this is due to the cast just being unnecessarily large, to the point that the characters don’t get the space to develop on screen. As far as the dialogue and characters go, this movie is roughly as fleshed out as a lesser Friday the 13th sequel: individuals are only as identifiable as stereotypes, and only exist to be arrow fodder. Plenty of fans of the source material have complained at length about changes to the screenplay, but I tend to let those kind of details slide: movies need to fit a more compressed medium, and writers and directors have the right to put their own creative stamps on things. So, for this movie, I’m not going to delve into those. One of the more widely-mocked sequences from the movie involves the English army launching a volley of “night arrows” at their enemies. I remember this from the first time I saw this movie as a kid, and I definitely recall it not making any sense. “Night arrows” are not a thing: they are just normal arrows, shot at night, that aren’t on fire. The fact that characters act like this is some some of tactical brilliance is absolutely baffling to me, and I’ve never figured out just why that sequence was included. Overall, Timeline is a way cooler idea than an actual movie. The weak casting and writing certainly didn’t help matters, but I’m not sure if this movie would have resonated with audiences even if everything fired on all cylinders. Even if Donner’s initial cut was a masterpiece, I don’t think a time travel movie set in this particular time period was going to excite anyone. The Hundred Years War just isn’t something that clicks for people in general at this point, let alone your average American audience. If you want to mess with time travel, go to the dinosaurs, go to Rome, go to the Revolution, go to the Civil War, go to a recent 20th century decade, or go to the future. Some time periods are just more cinematic and intriguing than others for Hollywood, and I don’t think this time period makes the elite cut as far as options go for blockbusters. As far as a recommendation goes, I found this movie to be incredibly dull and forgettable, and I’m hard-pressed to think of any redeeming qualities. Outside of seeing Gerard Butler in his long-hair period, or Paul Walker doing his damnedest to be a leading man, there’s not much worth seeing here.